Just a note from the coach to let you know what is going on. We have been wrestling better every week. Our practices have been getting tougher which puts pressure on our kids to get better. This Saturday 3-6-04 is the Regional tournament in Lansing which qualifies for the state tournament next Sunday at Oxford high school. Anyone who doesnt qualify for the state tournament on Sunday can wrestling on Saturday at Flint Bentley. That includes you guys that are not wrestling at the regionals. I would like to have our whole team wrestle on Saturday 3-13-04 at Bentley, unless you qualify for states on Sunday. As far as fund raising goes, we raised $750 from our bottle drive with only half the team participating. I would like to do another bottle drive when the weather gets better, with the whole team. Those that collected the first time will receive a pair of LCN workout shorts. I am still trying to set up a bowling night for the parents and friends to get together and raise money for the club. I would still like to see us get some more funds to help defray some clothing and other items we need to purchase. 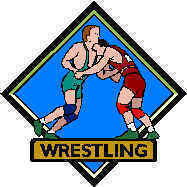 We will be wrestling AAU tournaments on March 7- 21& 28 at schools in Macomb County. These are folk style tournaments, not freestyle. Our practices will continue till April 7th so that we can train for the nationals at Ford field on April 8-10. I would like to have everyone wrestle at Ford field for the lifetime experience. I know that it is Easter weekend though. Most of our kids wont get past Thursday wrestling anyway. But I still want them to try and get the awe out of the way. We have reserved the LCN High School gym on Wed. Thru. Fri. April 21-22-23rd to put on a clinic. Just like last year, we want to invite new kids from 4th thru 8th grade to see what wrestling is all about. We want you to start telling your friends about it. We will also have practices and start a weight lifting program through June and July for those that are interested. As you can tell our kids are way behind in skills and strength compared to the other good teams in MMWA. The only way to compete is to work hard during off season training. If we are going to be the best high school team we have to be serious now, and I want to do it right. Make sure you put our web site on your computer under favorites. It is (lcnwc.tripod.com). Check it for updates. I want youre input on a banquet some time in late April or early May to recognize the boys for their outstanding achievements. Let me know what you think.